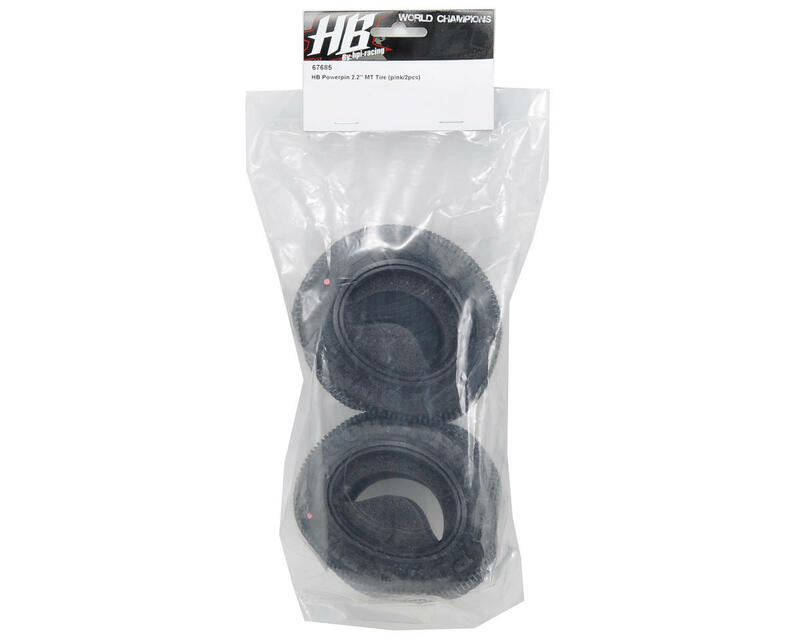 This is a set of two Hot Bodies 2.2" Powerpin Truck Tires. 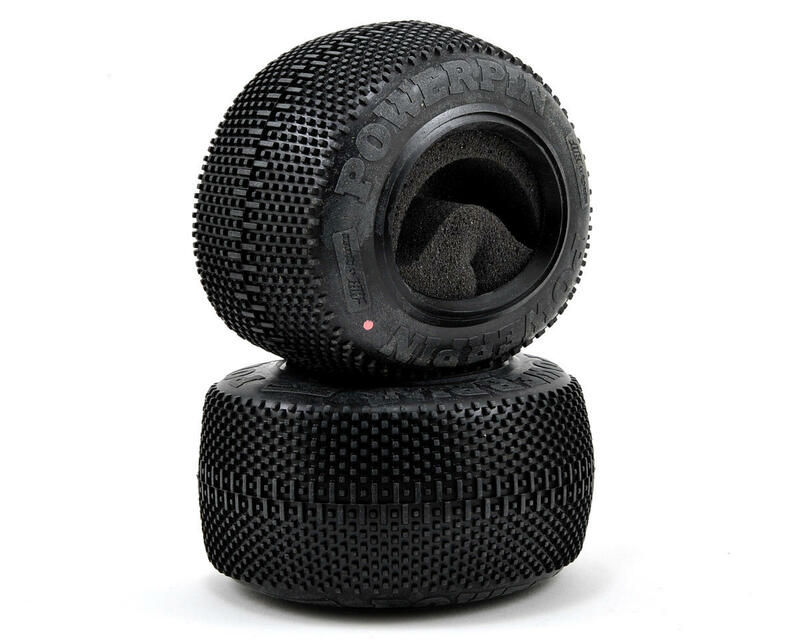 The Hot Bodies Powerpin tires are made up of multiple rows of square mini pins for excellent traction on many types of surfaces. A row of extra-wide treads down the center of the tire gives you extra acceleration and forward traction, as well as superb braking capability. Great tire in a very soft sticky Hotbodies pink compound! Now if they would make a tire in a beam pattern in the Pink compound we would be set!